DIA’s remuneration system attracts, motivates, and retains a workforce that is trained to face the challenges that arise in the retail distribution sector. Accordingly, the company has developed a process aimed at the fair weighting of excellence among employees. The remuneration policy is established by the Group’s management, according to local market practices, inflation, agreements with unions, and collective agreements. Moderate and align remuneration according to local trends seen in companies of a similar size and activity, guaranteeing that they are aligned with the best practices in the market. Reward the quality of work, dedication, responsibility, business knowledge, and commitment to the Company for employees who hold key positions and lead the organisation. Establish a close link between remuneration and the Company’s results, such that the weight of the variable remuneration is sufficient to efficiently compensate the individual achievement of targets, as well as the value added to the Company and its shareholders. Internal equality and external competitiveness. The company has performance evaluation mechanisms in place for 100% of its workforce (404-3) that vary according to job title and position. In the case of store and warehouse employees, they are evaluated on their performance and productivity, both on an individual level and in their overall workplace. In the case of offices, the personal objectives are focused on individual performance and values, and aligned with the Company’s results. Merit is the main driver behind salary growth. This merit is calculated based on an annual appraisal of values, skills, and compliance with previously set objectives. All of these appraisals conclude with one of the following results: Excellent, Good, Satisfactory, or Room for improvement, which have a bearing on salary increases. DIA understands employee potential to be the latter’s ability to undertake positions with a higher degree of responsibility in the future, which is a way to boost salary growth. By means of a system that manages employee potential, the company can detect high-potential employees and establish retention measures, including promoting them to a higher job grade, and giving them preference in training processes and internal selection. 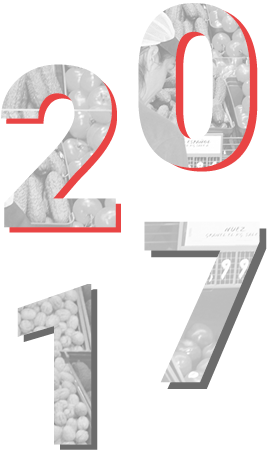 In 2017, there was a change in the variable remuneration system applied in Spain for more than 10,000 employees in the own stores. The new remuneration system is more aligned with the company’s strategy, and takes customers’ views into account by including their degree of satisfaction as a measurement factor. Accordingly, the addition of new assisted sales and fresh produce sections in the DIA banner stores, as well as in the La Plaza de DIA supermarkets, is now linked to the good management of these sections. Therefore, there is an ongoing flow of the above-mentioned commercial activities and recruitment of professionals. This new variable remuneration system for this group therefore complements overall remuneration of delicatessen, meat, and fish professionals. The rest of the store and warehouse personnel continue with the previous tranche system according to their performance and category in relation to the variable remuneration. 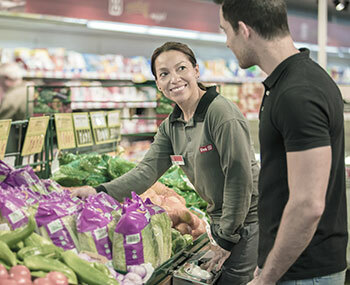 In Spain, 100% of the store and warehouse staff benefit from the variable remuneration system, which is above the minimum salary levels established in the collective agreement. As for employees working in offices, managers, and directors, the variable remuneration is split as follows: 60% is linked to the company’s targets (EBIT, gross sales under banner, like for like, and merchandise cash and 40% is linked to personal objectives, which include targets that are agreed with the employee’s direct superior, as well as the improvement in the customer satisfaction index. In 2017, a new feature is that the improvement in the franchise satisfaction index has been included in these personal objectives, and which is applicable to all the office staff in Spain and the directors in other countries.